November means I can officially start my Christmas preparations. I’ve started writing lists and am feeling pretty on top of everything at the moment. 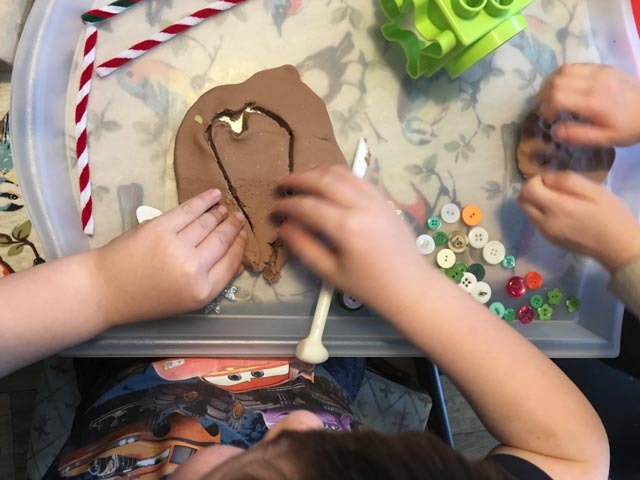 I know there will be lots of Christmas crafting and last week we made our first Christmas craft – gingerbread play dough hearts. 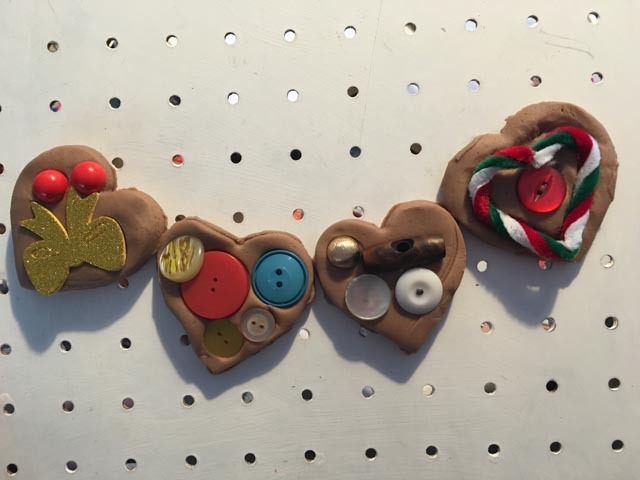 Have you seen the decorated gingerbread hearts hanging up in Christmas markets? They always look so pretty, decorated with coloured icing, and wrapped in pretty cellophane bags. I thought it would be fun to make our own version so today I’m sharing a tutorial for them. Read on because I’m also taking part in the 2015 Festive Family Holiday Hop there is a lovely giveaway at the end! We used my gingerbread play dough recipe which I’ve previously written about. It is really quick and easy to make and lasts for ages. It also smells pretty good and helps get us in the mood for Christmas crafting. 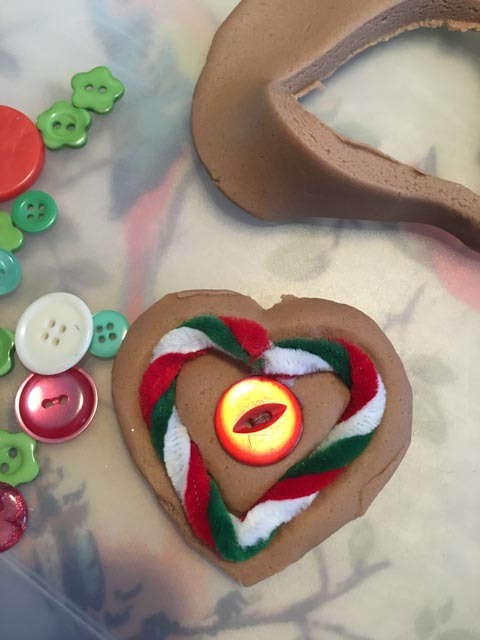 I divided the gingerbread play dough into two so both my children could create their own gingerbread hearts. I set them up with piles of little pieces and they had great fun rolling out the play dough, cutting hearts and decorating them. 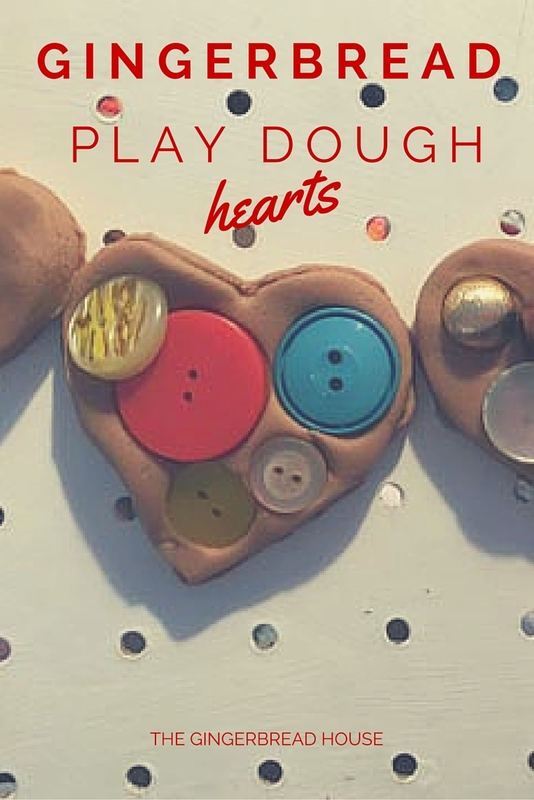 The play dough hearts were quite small so they made lots of them! Then my 5 year old decided to make his own hearts which were much bigger. They had so much fun so I think we’ll be doing this again. The best thing about using play dough is that you can take the decorations off, roll out the play dough and start again. Our sponsors are giving away over $1500 in prizes in one massive prize package that contains gifts for everyone. To enter the giveaway please complete the Raffelcopter widget below. The giveaway will run from November 2-19 and the winners name will be announced on this post. 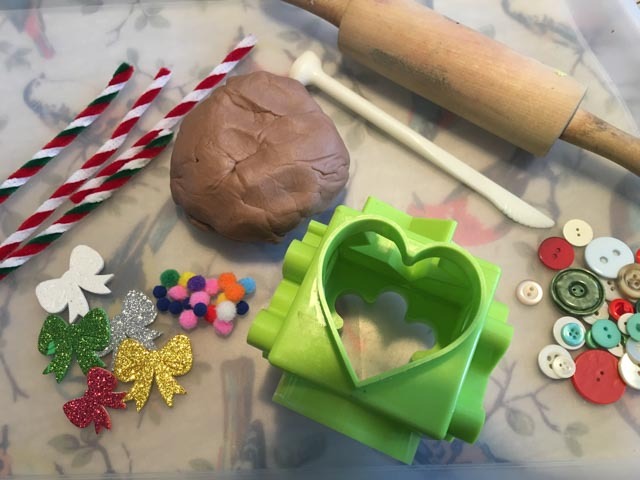 Gingerbread play dough – we have GOT to try that!